Dozens of students and staff gathered in a peaceful moment of prayer to honor the victims of the deadly antisemitic terrorist attack against the Tree of Life Synagogue in Pittsburgh. 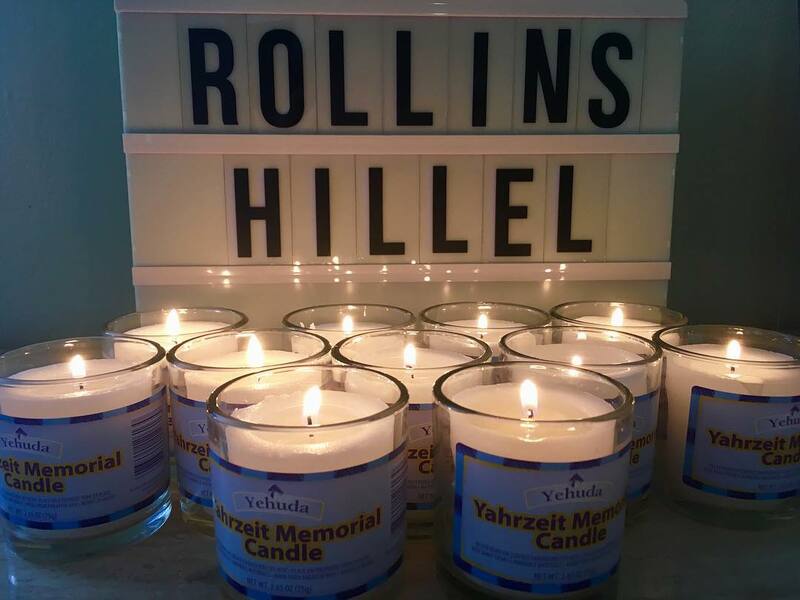 “May it be your will, Eternal One, Our God, God of our ancestors, that wars and bloodshed be abolished from the world, and bring into the world a great and wonderful lasting peace,” read Rachel Wasserman (‘19), president of Rollins Hillel, the Jewish student organization. This was part of a prayer that calls for God to bring peace to the world and expel hatred from people. The reflection, hosted on Tuesday, Oct. 30, was organized by Hillel, which is dedicated to encouraging students from different communities to explore and expand their understanding of Judaism. The organization frequently hosts Shabbat and other Jewish traditions. Students, faculty, and community members of various backgrounds gathered to commemorate the victims of the attack and to express their thoughts on the tragedy. The Wellness Center also sent employees to the room to help those in need. Hernandez said that his decision to come to the event was caused by something that happened personally with his own spiritualness. “I was hearing about what had happened from different news sources and being aware of the overall climate of antisemitism that has been on the rise for the last couple of years. I thought it was important to be there for that community and show support,” he said. During the reflection, the Prayer for Peace was spoken, as well as the Mourner’s Kaddish, which is a traditional Jewish prayer that honors the dead. The prayer was recited in Hebrew by Yudit K. Greenberg, director of the Jewish studies program and George D. and Harriet W. Cornell professors of religious studies. After these prayers were recited, a candle was lit for each victim of the shooting. The candles were lit one at a time after each name was read aloud. Following this, participants were allowed to voice their feelings. A few people became very emotional while recounting their thoughts. When given the opportunity to voice their thoughts, many in the room expressed fear about where the country was headed. People of all communities were concerned about the hatred that has gripped America these past few years. However, they also stated their hope for the future regarding the love and support the Jewish community has received from other communities. There were also conversations about fighting prejudice and using love to combat hate. Block emphasized the importance of continuing to show this type of solidarity with the Jewish community long after the tragedy. “One of the most meaningful things that members of religious groups can do is just to show up, show their support, and educate themselves…We as a united community at Rollins need to combat hatred with love and understanding for all the diverse communities on our campus and in our world,” said Block. Participants were also given an opportunity to write messages to those who attend the Tree of Life Synagogue. After the gathering, Reverend Katrina Jenkins, dean of religious life, led a reflection at the peace pole in the rose garden at Knowles Chapel.